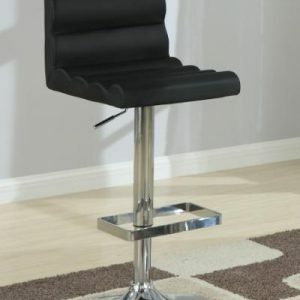 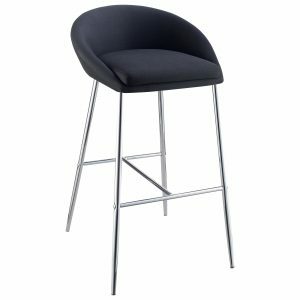 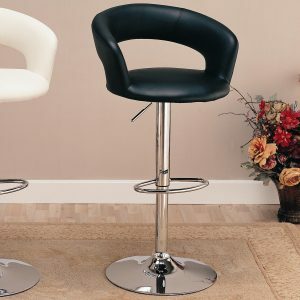 This upholstered bar stool makes a great addition to a contemporary entertainment area. 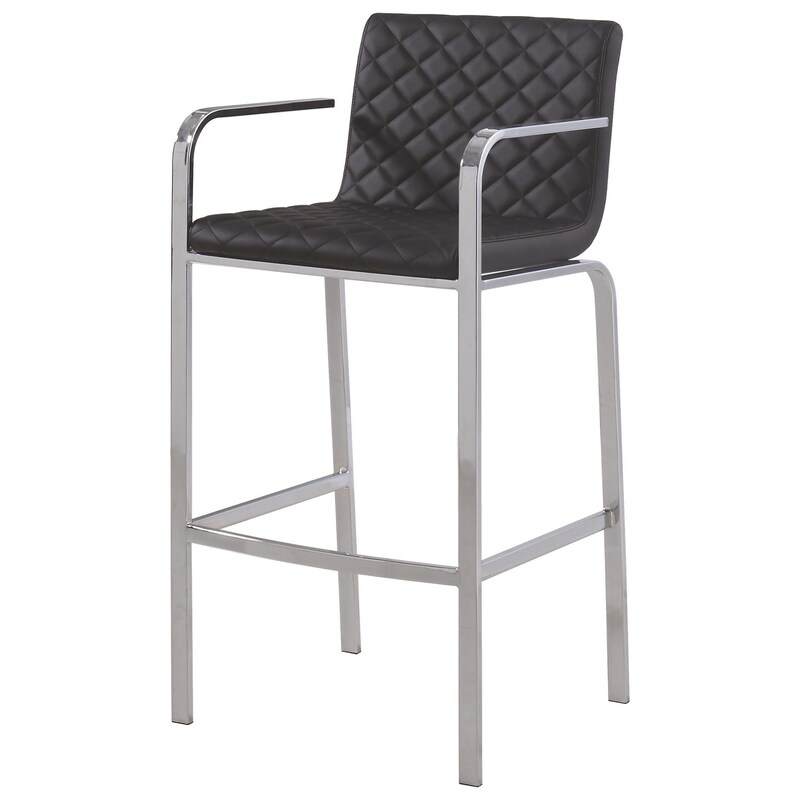 The stylish stool has an upholstered seat and backrest with a quilted pattern. 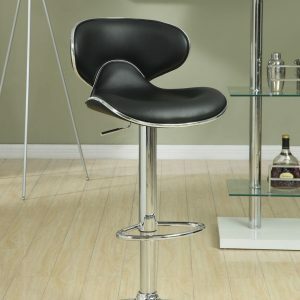 The chrome (Silver) finished legs and arms have subtle curves.